CANBERRA, Australia — Australia could damage its economic future if it bans Huawei from the nation's next-generation mobile network technology, the Chinese telecommunication giant's Australian boss said on Wednesday. Australia barred Huawei, the world's largest telecommunications equipment supplier, on national security grounds from bidding for contracts in 2011 for the national broadband network which is being rolled out countrywide. According to media reports, the government is now poised to ban Huawei from supplying 5G networks, the next evolution in phone technology that will start commercial services in Australia next year. 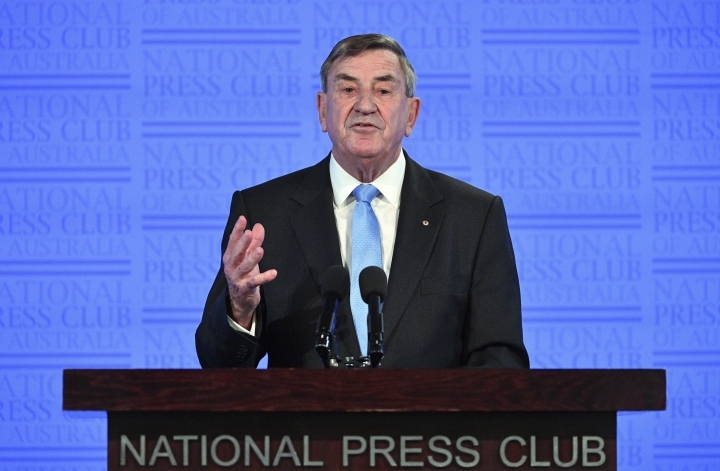 Huawei Australia Chairman John Lord told the National Press Club his Shenzhen-based company was having discussions with government "at all levels" on its involvement in 5G. He dismissed media reports of an imminent ban as "supposition," adding that Huawei had not contemplated that outcome. "In saying 'no' to one of the leading 5G suppliers in the world, what are we really doing?" Lord said. "This is not just a tough political decision, this is a long-term technology decision that could impact our growth and our productivity for generations to come," he added. Huawei has been under intense scrutiny in several countries over its links to the Chinese government. The private Chinese company started by a former People's Liberation Army major in 1987 suffered a setback in the U.S. market in 2012 when a congressional report said it was a security risk and warned phone companies not to buy its equipment. The House Intelligence Committee found that Hauwei and Chinese rival ZTE Corp., which is partly state-owned, were tied to the Chinese government. "China is known to be the major perpetrator of cyber-espionage, and Huawei and ZTE failed to alleviate serious concerns throughout this important investigation. American businesses should use other vendors," the committee's chairman, Rep. Mike Rogers, R-Mich, told a news conference. The report said the companies failed to provide responsive answers about their relationships and support by the Chinese government, and detailed information about their operations in the United States. It said Huawei, in particular, failed to provide thorough information, including on its corporate structure, history, financial arrangements and management. Huawei denied being financed to undertake research and development for the Chinese military, but the committee said it had received internal Huawei documentation from former employees showing the company provided special network services to an entity alleged to be an elite cyber-warfare unit within the People's Liberation Army. Lord at the time urged Australia not to be swayed by the U.S. report, which he said was about protectionism rather than security. Huawei was revealed this week as the biggest corporate sponsor of overseas travel for Australian federal lawmakers, flying 12 to the company's headquarters in southern China. Lord, a retired Australian navy rear admiral, said he had been debriefed by government officials about the 2011 decision to ban the company from the national broadband network, but had not been told of any assessment of the telecom made by security agencies. 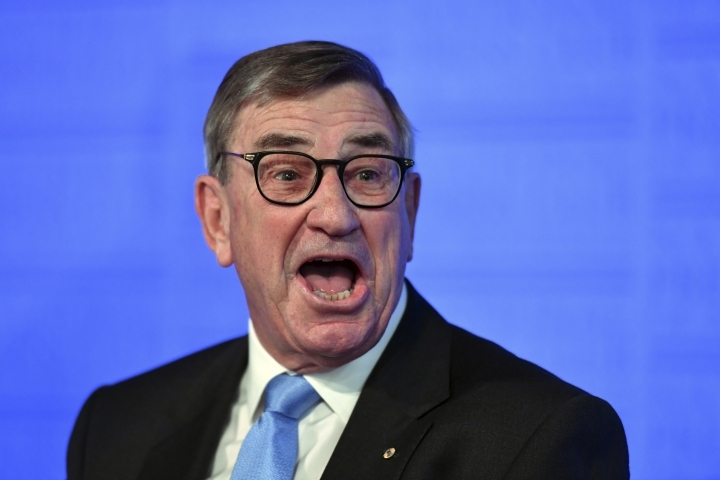 "I will be open and honest and say we were told that we were no longer ... allowed to bid for NBN contracts, and it ... was just based on that we were a Chinese company and they could not guarantee our equipment at that time," Lord said. Huawei has since grown into the largest provider of 4G mobile broadband in Australia and had expanded into cybersecurity, he said. "We realize that as a Chinese company — we knew then, but we now realize more — we have to be squeaky clean. It's a matter of building trust and that takes time," Lord said. Treasurer Scott Morrison, asked on Australian Broadcasting Corp. radio why the government seemed to distrust Huawei, replied: "We always act in accordance with the advice of our national security agencies when it comes to matters of national security."